CSR in the Middle East & North Africa is dynamic and exciting. It is built on centuries of Islamic tradition and principles and evolving rapidly to meet the business reality of the 21st century. I was recently interviewed on CSR in the Middle East and North Africa and thought my responses might be interesting for some. The transcribed interview is below. 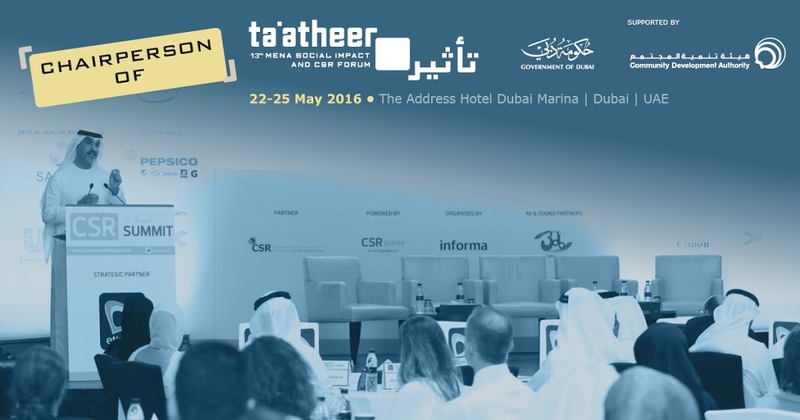 For any that are interested in CSR in this region you will want to take in the ta’atheer MENA Social Impact and CSR Forum in Dubai (May 22-25, 2016). I will be Chairing the Summit and delivering two post-summit bootcamps. Do you agree that the term CSR is outdated and the region is now moving towards sustainable social impact? CSR, Sustainability, Social Responsibility, Social Impact and other phrases are all attempts to put words and phrases around society’s increasing expectations on the role of business in society (and society’s increased ability to impose those expectations on business). None of the words and phrases are able to perfectly capture this phenomena, this evolving reality in the space where business meets society. I’m not convinced that focusing on the language is terribly helpful (although it isn’t unhelpful). To me, what is more important is focusing on how societal and shareholder value can be efficiently created in the space where business meets society. In your opinion, what is Social Impact Investment and how would you explain it’s context in the Middle East? Middle East CSR/Social Impact Investing is evolving from pure charity and philanthropy to more strategic approaches which include Social Impact Investing and increased consideration for linkages with business and shareholder value. My understanding of the phrase and the drivers of the discussion is that it has more to do with the growing realization that simple charity and philanthropy doesn’t fully meet society’s evolving expectations of business, nor does it fulfil business’ responsibility to its shareholder to use business resources in the interests of the business. Zakat, Sadaqah and other societal support has traditionally taken more of a philanthropic or charitable approach; a transfer of money and resources from business to social needs and issues with limited attention to sustainable impact or business value. That is changing. Middle Eastern businesses are feeling the financial pressures that are the reality of recent years. They are dealing with margin and profit squeezes and reduced amounts of discretionary capital. At the same time many now have global project and ownership partners that are questioning the traditional philanthropic and charitable spending. 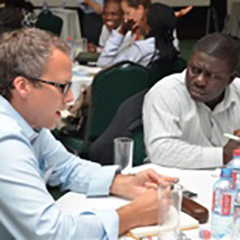 Society expects business to be engaged with key societal issues. Business has to learn to meet these expectations in ways that integrate business and societal value. Social Impact Investing, as well as more strategic approaches to CSR are approaches that enable better alignment of societal and business interests. But, this should not be taken to mean that philanthropy and charity are wrong. Just that they need to be looked at in a broader, value-focused context that considers societal and shareholder value and impact as well as sustainability. What are the latest 3 trends you are seeing in how organisations are adopting sustainability and social impact in the region? What is the role of social entrepreneurship in the social impact space? It’s all about social entrepreneurship. It is about innovation and motivation to be more efficient at creating, delivering and capturing value. In this case it is societal value. Social entrepreneurship helps to identify and lead new opportunities and helps to make old opportunities more efficient.